Imagine trying to relax in your living room after a busy day at home. Then, all of a sudden, you saw the ceiling falling towards your direction. The next thing that follows is water flowing from above, filling the floor with water. And within a few minutes, everywhere becomes flooded. You start asking yourself; what happened? Can my water heater explode? Yes, it can. However, it does not explode without a reason. Understanding how to take care of your own water heater is crucial, else, it will be just like living with a time bomb. Read on to learn more about water heater exploding and why it happens. Why does The water heater explode? How To Fix The Problem Of Increased Internal Pressure? 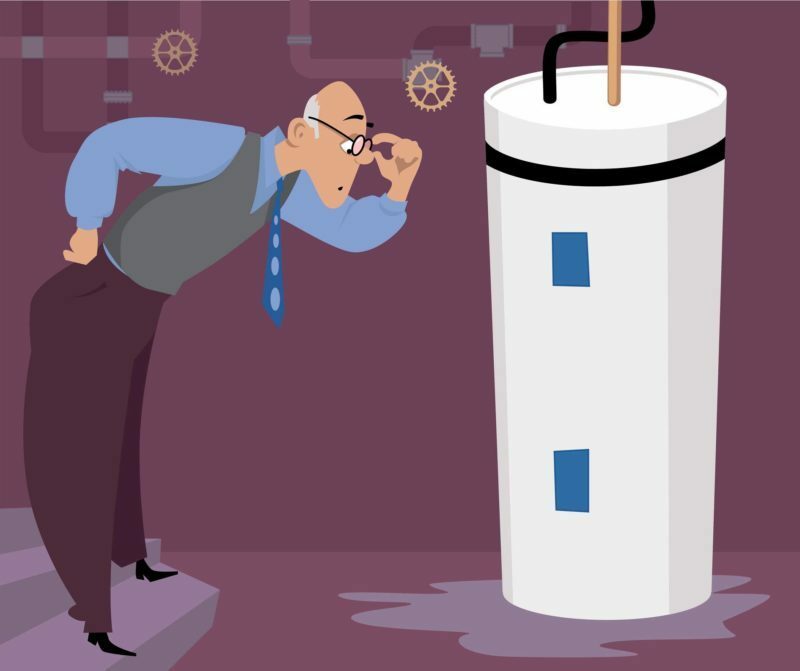 How to fix the problem of corroding tank? A good understanding of the different types of models and how water heater works are vital. It will help you take the necessary precaution. There are two types of the water heater, the electric and gas water heater. But even though the different models operates a bit different from each other, the principles are the same. They all use combustion to raise the temperate of water in the tank that holds it. The gas heater makes use of the burner to raise the temperature of the water. After increasing the temperature, the burner would automatically go off. The electric heater uses coils. It also operates under the same principle as the gas ones. But the level at which you want the water to be heated to depend on the user. Internal pressure can cause the water heater to explode, just as what happens when you pump too much air into a balloon. There is a point the balloon will get to that it will no longer be able to expand. For the water heater, too much internal pressure can cause leaking and even make the tank to explode. Firstly, understand that it is wrong to set the temperature of your water heater too high (140 – 145). It can lead to pressure build-up in the tank. Always maintain the temperature at (120-125) degree Fahrenheit. Also, check the pressure relief valve regularly to make sure it is working in a perfect condition. The good news is, nowadays, due to technology advancement, there are some tankless water heaters that features fully automatic temperature controls. Check them out if you want to have that peace of mind. Your new water heater might be looking shiny now. You may even think that it may never rust. But mind you, the tank is made of steel. So, it is not immune to rusting. A rusted tank is also prone to leaking and explosion. Every water heater comes with a special internal rust protection element. It sacrifices itself. What this means is that instead of the tank rusting, the 3-5 foot anode rod sacrifices itself's first. Therefore, you need to inspect this area of your water heater annually or once in every two years. A replacement should be made once you find that it has turned brownish. “Can water heater explode?” is a question that scares most people. They cannot stand the idea of having a time bomb in their bathroom. However, if you follow all the necessary precautions mentioned in this article, most of the problems that cause the tank to explode can be prevented. Another important tip is to make sure you buy good quality water heaters. Not only are they more trustworthy, they also normally comes with clear instructions in their manuals and guide book in terms or usage and safety.